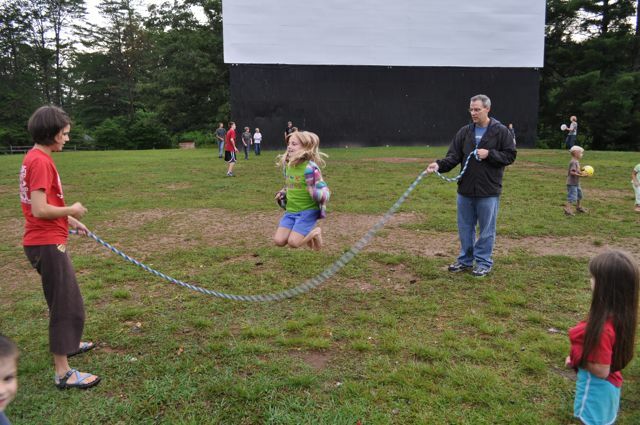 We took the girls to the drive-in in Georgia last night along with lots of other families from church to see Cars II. We got there early to get a front row seat. 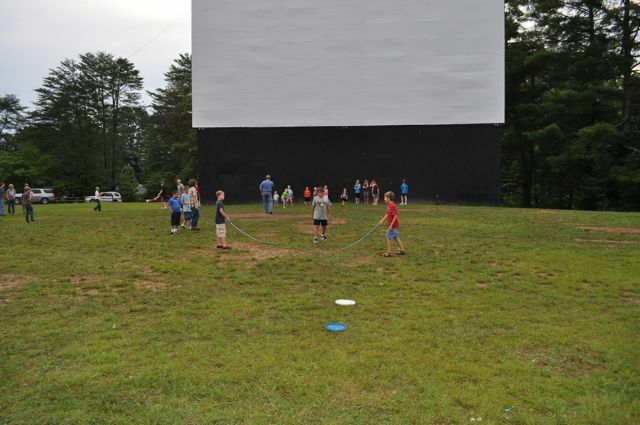 There is a large area of grass between the first row and the screen, so for three hours, the place was packed with kids playing football, baseball, frisbee, jumping rope, running, and playing. Lots of fun. Thankfully, the storms from the afternoon blew through shortly after we arrived. The evening was quite cool, lots of blankets and jackets to go along with the lawn chairs. It was a late night, so late in fact that we were able to sing Dana Happy Birthday before we went to bed last night—er, this morning. In just a little while, we head out again for a birthday party for a girl in our church: swimming party, hotdogs, etc. I’m thinking we should have just brought tents last night and continued the party this morning as most of the folks there last night will be at the party this morning. I know we would never worry about this in Texas, but I am hoping it is warm enough to swim. While it is a beautiful day with clear blue skies, it was 58° this morning. And after the storms last night, the water might be a little cool. We are looking forward to the arrival of the Bailey’s on Sunday night for a visit. The girls are very excited. And finally, in a random piece of information: I was talking to a guy, whose family is part of the homeschool group, last night at the drive-in and he said they have had a bear in their yard on several different nights (and one morning) recently, including on the porch. The porch might be a little too close for comfort for me, but we would like to see one. 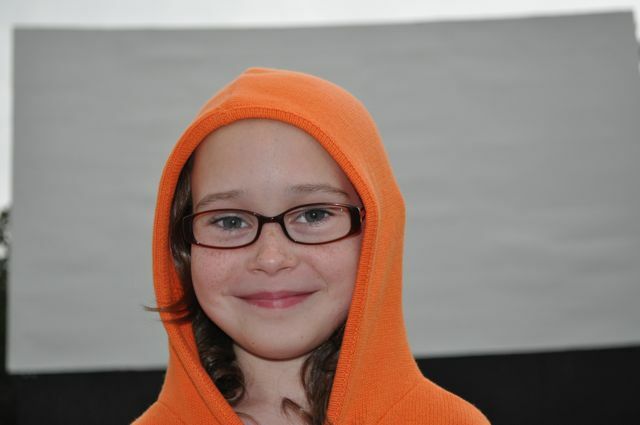 This entry was posted in Community, Culture, Family, Friends, Home school, Random thoughts, Wildlife. Bookmark the permalink.